Anthony J. Frendo is a professor at the University of Malta in Near Eastern Archaeology and the Hebrew Bible, and former department head of both the Classics and Archaeology (1996–1999) and Oriental Studies (1999–2011) departments at the university, both of which he helped found. He’s been a visiting scholar at both the University of Beersheba and University of Oxford. He has been on numerous excavations in both the ancient Near East and the Mediterranean (including Malta itself), including some where he served as a director. He has lectured/presented on archaeology at the Pontifical Biblical Institute in Rome, at the Smithsonian Institute in Washington, DC, and the Oriental Institute at Oxford University. To go along with all of that, he has a handful of legitimate, peer-reviewed publications on archaeology and history/text published between 1988–2011. In short, while he is not one of the “big names” that tends to come up when discussing the nature of the relationship between archaeology and (biblical) texts, he is not someone that should be taken lightly on the subject, either. 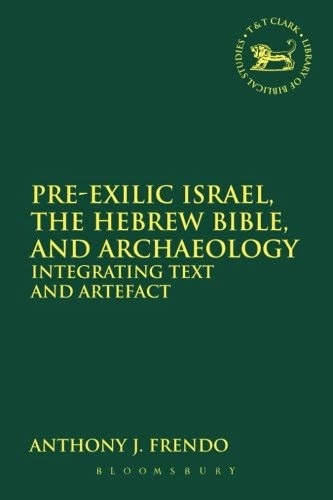 I recently picked-up his much neglected 2011 study, Pre-Exilic Israel, the Hebrew Bible, and Archaeology: Integrating Text and Artefact (New York: Bloomsburg/T&T Clark, 2011). It is not a long study (105 pages, not counting indices, bibliography, and front matter). I am through about the first 40 pages and already I’ve taken several notes, most of which are pertinent to the question of archaeology and the Book of Mormon. A few observations from just a couple will illustrate just how relevant this book is. Citing Anthony Snodgrass, “Archaeology,” in Sources for Ancient History, ed. Michael Crawford (Cambridge: Cambridge University Press, 1983), 145–146, Frendo notes that is it a fallacy of positivism “whenever [archaeology] claims to have falsified historical accounts” (p. 27 n. 5). This fallacy is the backbone of arguments against the Book of Mormon’s historicity. Frendo then quotes Roland de Vaux, “On Right and Wrong Uses of Archaeology,” in Essays in Honor of Nelson Glueck: Near Eastern Archaeology in the Twentieth Century, ed. James A. Sanders (Garden City: Double Day, 1970), 78, who states that “archaeology does not confirm the text, which is what it is, it can only confirm the interpretation we give it” (p. 27). The natural inverse of this is that it can only disconfirm an interpretation of the text. Latter-day Saints have been stressing this fact for ages! Archaeology clearly demonstrates that a particular interpretation of the text (the Hemispheric model) is false, but that interpretation is demonstrably at odds with the text anyway. Stronger interpretation of the text has also proven more resilient to archaeological disconfirmation. Yet critics continue to insist on judging the text based on an outdated interpretation of it. In a footnote, Frendo adds de Vaux's caution, “if the results of archaeology seem to be opposed to the conclusions of text criticism, the reason may perhaps be that not enough archaeological facts are known or that they have not been firmly established; the reason also maybe that the text has been wrongly interpreted” (p. 27 n. 8; de Vaux, p. 78). If I didn’t know any better, I just might think de Vaux was a Mormon apologist! One of Frendo’s major points throughout these early chapters is that archaeology and historical texts “often deal with related things despite the fact that are rarely concerned with the same objects” (p. 28, emphasis in original). He explains, “Textual evidence is generally concerned with short-term events (such as battles), whereas archaeological data are usually ideal for helping us to trace long-term processes (such as those of farming and settlement patterns)” (p. 28). I find this observation rather poignant, since though little evidence has come forward confirming specific Book of Mormon battles, the broad cultural and demographic trends in the Book of Mormon are consistent with those found in Mesoamerican archaeology (see the work of John Sorenson and John Clark). From there, Frendo goes on to give some examples of history not being archaeologically detectable. A number of his examples are related to warfare. “One would think that warfare would have left a good deal of archaeological evidence in the ground; however the case of the Persian invasion of Greece in 480/479 BCE indicates that no real positive evidence for such an invasion is available” (p. 29). Then again citing Snodgrass, he notes, “excavation has not much light to throw on the great wars of the ancient world; a destruction-level here, a monument there, a communal grave elsewhere, are the most can be produced” (p. 29; Snodgrass, p. 166). He also uses the Twin Towers as an example—few, I imagine, would deny that before September 11, 2001, there stood two towers in New York city at what is now called Ground Zero. An archaeologist would never be able to prove it, however, nor could they ever prove that more than 2000 people died in that single spot in a single day (pp. 31–33). 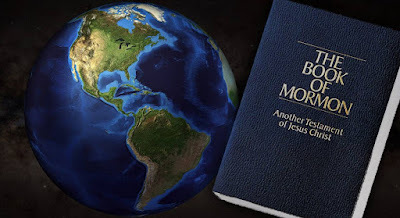 The numerous battles in the Book of Mormon are, of course, among the things critics insist there should be evidence for. Given the above, however, such an expectation seems misguided. Frendo also notes, “The presence of new groups who have come into territory from outside is not always reflected in the material remains retrieved in archaeological research” (p. 35 n. 37). Frendo uses three medieval examples: (1) the Anglo-Saxon’s entrance into Britain; (2) the Norman invasion of Britain; and (3) the Muslim invasion of Spain. Of these three, only the Anglo-Saxons left a discernible archaeological trace (p. 35). The likelihood of a very small new group, like Lehi’s Clan, of making an archaeological impact is remarkably slim. And if we cannot detect the Lehites entry into the land, how are we supposed to recognize the group when it finally does become large enough to leave an archaeological footprint? I’ve written on this problem before. I could go on like this for a while, so I will stop here. Notice that Frendo emphasizes the very same thing numerous Mormon “apologists” have stressed. None of this should be taken to mean that archaeology can tell us nothing about the Book of Mormon’s historicity. But, archaeology must be used responsibly just like everything else, even when discussing the Book of Mormon. The more and more I read about the relationship between archaeology and texts, the more I find that the leading scholars and thinkers on the subject say all the same things Mormon “apologists” do, all the while explicitly condemning and critiquing the methods used by anti-Mormons and other critics of the Book of Mormon. I suggest that the reader take a moment and let the implications of that last statement sink in. Excellent piece. There are a couple of quotes, I think, that you will want to check. The first one seems to be missing something after Frendo (p. 27, n5), and the p.35, n37 quote towards the end. Thanks for the great information! If you want people to take you seriously, you need to take your own writing seriously by proofreading before posting. Your otherwise excellent article is riddled with errors. Please note that plurals are not formed with apostrophes (as in "only the Anglo-Saxon’s left a discernible archaeological trace"). So like you said, its good to know that these supposedly brain dead apologists are far closer to the thoughts of leaders in the field. Thanks for your comments, Dean! I still need to read your book on warfare in the Book of Mormon, but I promise it is on my list! "I suppose if Lacedaemon were to become desolate, and the temples and the foundations of the public buildings were left, that as time went on there would be a strong disposition with posterity to refuse to accept her fame as a true exponent of her power. And yet they occupy two fifths of Peloponnese and lead the whole, not to speak of their numerous allies without. Still, as the city is neither built in a compact form nor adorned with magnificent temples and public edifices, but composed of villages after the old fashion of Hellas, there would be an impression of inadequacy. Whereas, if Athens were to suffer the same misfortune, I suppose that any inference from the appearance presented to the eye would make her power to have been twice as great as it is. We have therefore no right to be skeptical, nor to content ourselves with an inspection of a town to the exclusion of a consideration of its power."